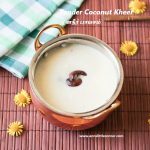 Tender Coconut Kheer / Elaneer Payasam is a delicious Kheer/Payasam. Blend the tender coconut pulp into a smooth paste. Heat milk in a Pan. Bring it to boil. Add in cardamom powder. Allow the milk to reduce for 10 minutes in low flame. Add in the sugar. Switch off the flame and allow it to cool down. Add in the tender coconut water and pulp. Gently mix them. Add in the chopped tender coconut chunks. Heat ghee in another pan. roast the cashews until they start darkening. 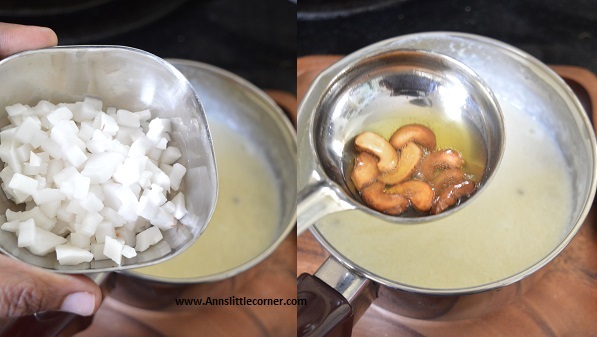 Add the ghee and cashews into the kheer. 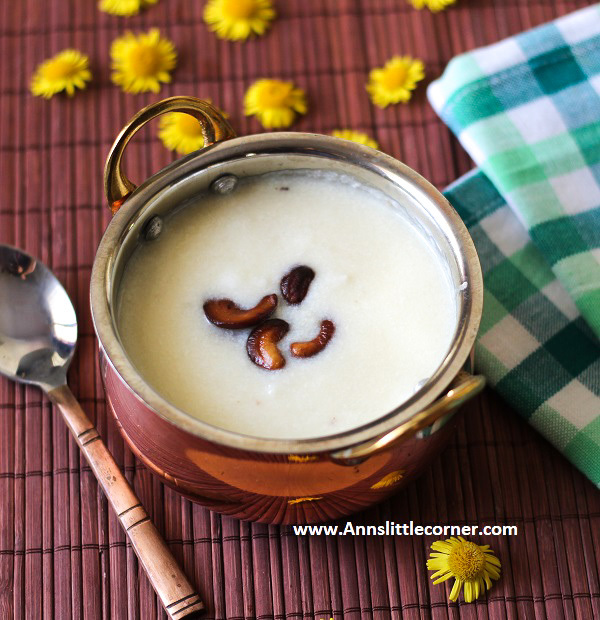 Tender Coconut Kheer/Payasam Tastes awesome when Chilled. The milk and sugar can be replaced with Condensed milk. 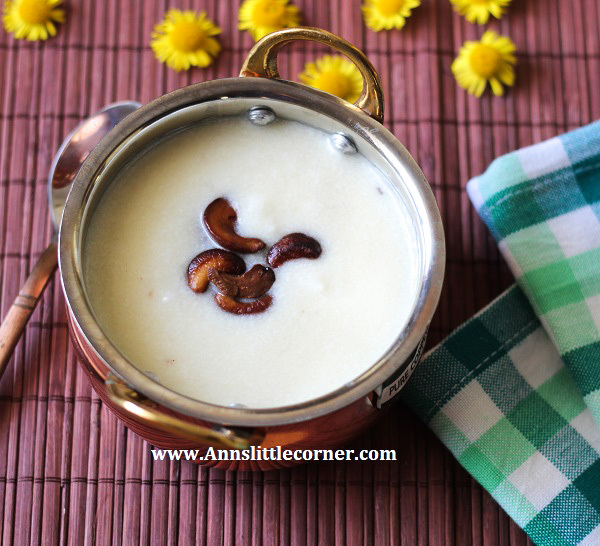 Then the Kheer becomes a no cook recipe. It tastes delicious too. Cardamom can be replaced with Cardamom powder as well. I have used full fat milk. Blend the coconut pulp into a smooth paste. Bring the milk to boil and allow it to reduce for 10 minutes in low flame. Add in cardamom. Allow it to simmer for few more minutes. Switch off the flame and allow the milk to cool down. Add in Sugar and let it dissolve. switch off the flame. Allow the milk to cool down little bit. Then add in the tender coconut paste and the Tender coconut water. Mix them gently. Yummy and delicious dessert is now ready to serve.